The Mango Bride’s Been Bookmarked! 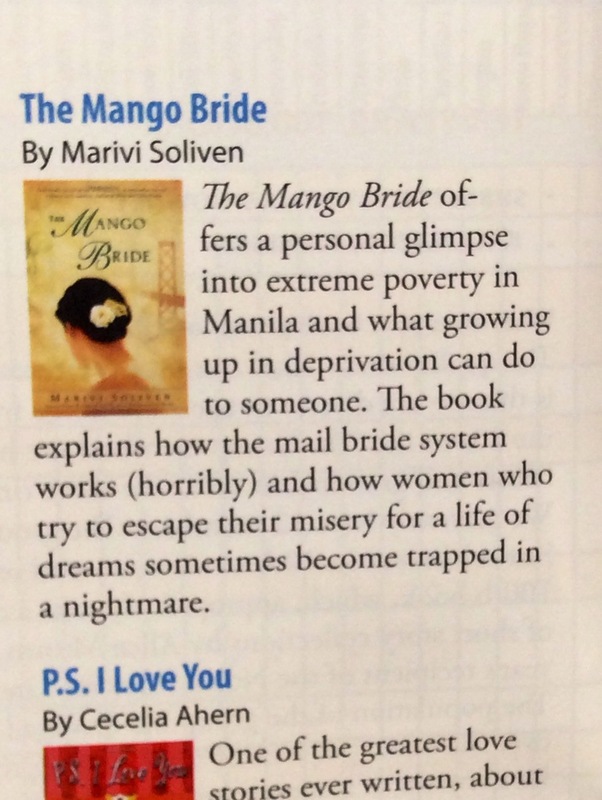 The Mango Bride joins a list of books that the Bookmark’s editors consider worth reading! 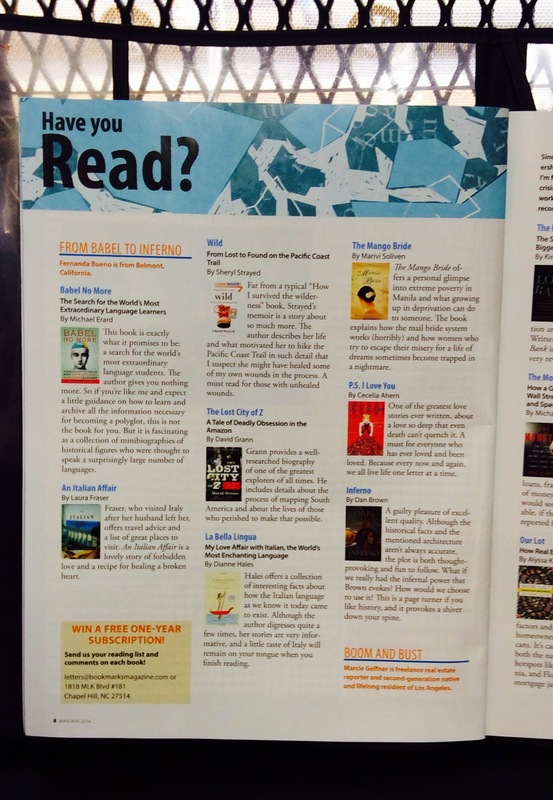 And because it came out in Bookmark’s latest issue, I’d like to think the novel is still considered newsworthy! I would never have heard about the magazine had it not been for an old colleague from my teaching days at the University of the Philippines, Ed Baluyut. Ed teaches high school English now in Long Island and is setting up my first virtual author’s visit (via Skype) for his book club . 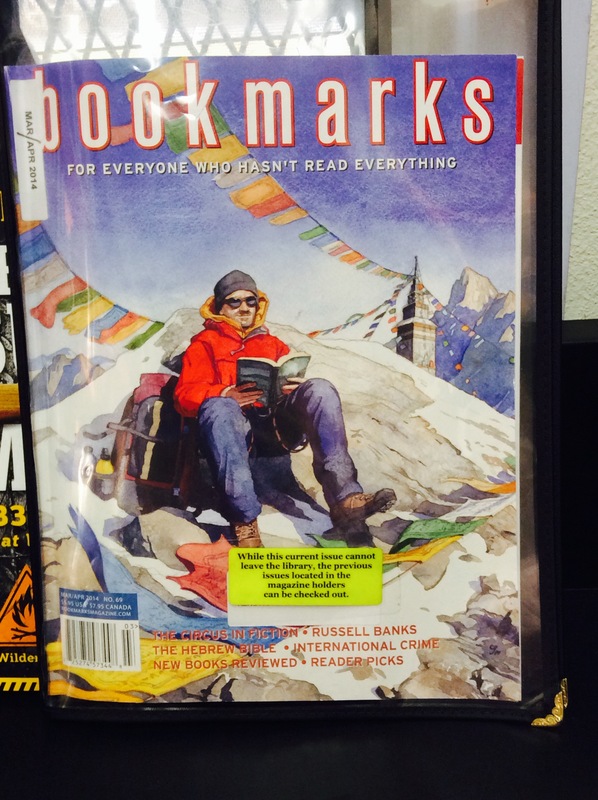 He must have mentioned this to the librarian at his school, because that’s when she showed him the Bookmarks issue. As soon as he texted me the news, I stashed dinner to roast in the oven then ran off to the nearest public library to hunt down the magazine. That branch didn’t have a lending copy of The Mango Bride, but at least it subscribed to Bookmarks. I combed through all six issues of 2013 without any luck before a kind librarian showed me the latest issue…and there it was. Not a full review, but the gentlest suggestion that my novel was worth reading. Have you read?…perhaps you should. I had to leave my seat at that point, for a neighborhood book club had gathered to claim the table. As the ladies began cooing over the author who had graced them with her presence, I scooted around the corner and found a vacant carrel in which to photograph the issue. It was my own private moment of nerd-celebrity. I think thyat what you published made a great deal of sense. and see how they create news titles too grab people to click.